Expires 5/11/2019. Offers do not apply to FiberNet products. Offers available to residential non-Broadstripe customers only. Must be a new subscription. Offers may not be available in all areas and may not be combined with other offers. After the promotional period, regular charges apply. If promotional package is canceled or downgraded, retail rates will apply. Equipment, installation, taxes, Regulatory Recovery Fee, universal service 911, franchise fees or other governmental charges, direct or indirect, any other applicable fees or charges (e.g. per call or international charges) are not included, are subject to change and shall be paid by customer. Features and offerings may vary depending on services ordered and are subject to change at any time. 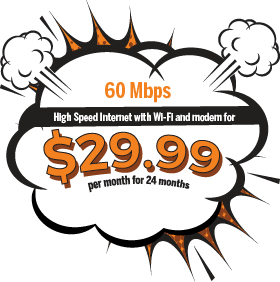 Internet speeds may vary and are not guaranteed. Some restrictions may apply. 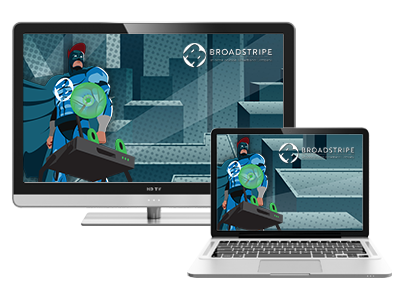 Visit broadstripe.com for terms and conditions. All rights reserved. Broadstripe © 2019.